12 digit calculator. Solar powered. Full face branding area. Magnetic front face. Product Size: 120 x 150 x 17mm. Product Packing: Boxed. Decoration Size: 60 x 10mm. Decoration Position: Face of calculator. Decoration Method: Pad Print. Carton Quantities: 40. Carton Size: 29 x 28.5 x 33. Carton Weight: 9. Colour: White/Clear. 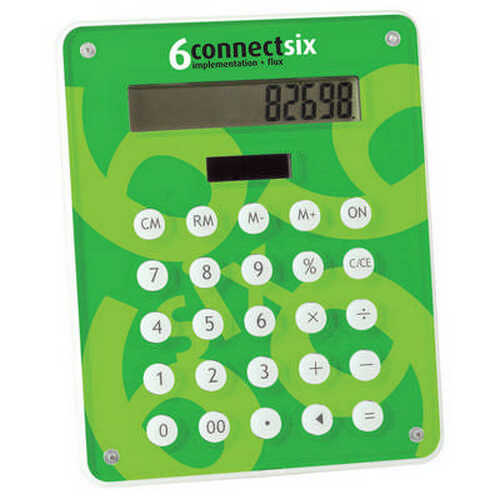 Price includes : Pad Print 1 Colour / 1 Position. Setup is included.